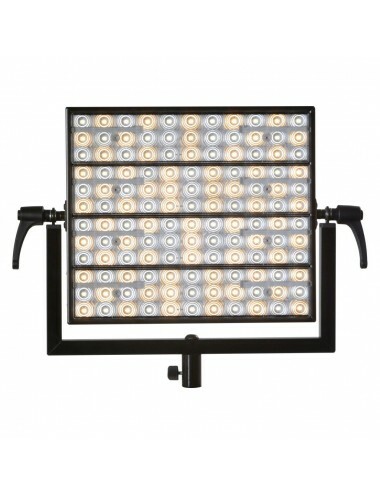 This high-power 51x30cm aluminium illuminator is equipped with highly efficient high-CRI SMD (surface-mounted) LEDs and replaceable optics. Its optical system consists of 8 sets of TIR (total internal reflection) lenses that affect the two basic photometric parameters of the device: light beam angle and maximum attainable lighting intensity. 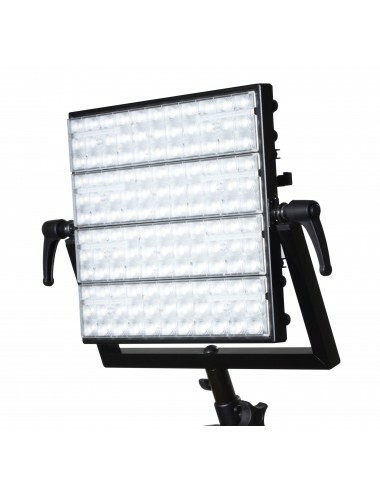 Our production program covers monochromatic lights S8d and S8t (respectively daylight and tungsten), as well as vertical versions of all these models, designated S8V. If you prefer vertical option please let us know after purchase. State-of-the-art high-CRI multiluminophore LEDs and a modern microprocessor-based controller allow the device to emit a strong and high-quality luminous flux that is completely free from the flickering effect. Replaceability of optics enables to modify the light’s photometric properties within a wide range. 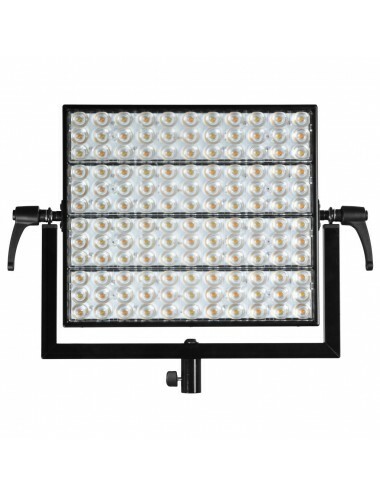 Akurat S8 allows to adjust light output practically without affecting colour temperature. 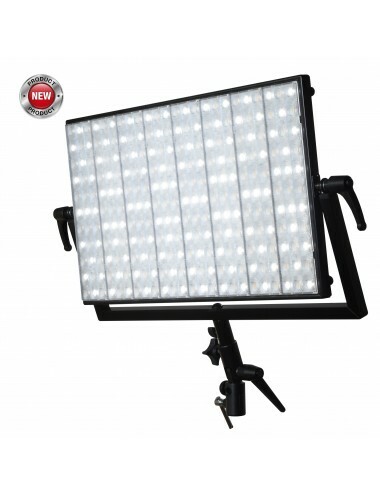 It is a tool perfect for use both in outdoor filming locations and in the studio. The optional DMX512 controller enables to control the light remotely in television studios or when the light is hard to reach. S8 is equipped with 8 sets of TIR lenses as standard. Replaceability of lenses allows the user to adapt the parameters of a particular device to his or her current needs. Thus it is possible to illuminate wide frames from a small distance as well as to achieve high lighting intensity with low power consumption. There are three types of lenses available, differing in terms of angle: 30, 60 and 90 degrees. With lenses removed, the light emits a 120-degree light beam. The table below shows the photometric properties of individual S8 models configured with different optics. In the back of S8 there is a control panel consisting of buttons for device operation, a display for indicating current per cent brightness setting, diodes signalling the operation mode, battery seats (optional) and mains power supply socket. The unique functionality of Akurat S8 comes from the multitude of battery supply options. There are adapters available for powering the light from 14.4 V batteries with a V-Mount. The controller of the device is equipped with a battery state tester. Current battery voltage is indicated with an accuracy of 0.1 V. The device signals low battery by flashing indicators. S8 is equipped with a fixing yoke made from aluminium profiles. The yoke enables to orientate the light in two axes. The light can be fixed in the vertical axis with convenient adjustable levers, while fixing to a tripod or in the horizontal axis is done by means of a standard female 5/8” adapter. One accessory useful for tripod mounting is an adjustable head that enables to position the yoke at any angle. It is also possible to equip the head with a diffuser umbrella.